During inspection, our electricians will carry out visual safety checks on the electrical components within the property to ensure that it is completely safe. 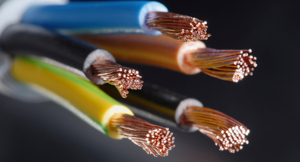 After all the tests have been completed, you will be given an Electrical Installation Condition Report (EICR) containing all the relevant details of the inspection and tests undertaken with the outcomes of the report as well as recommendations as to what remedial work (if any) is necessary. Choosing to certify from Landlord Certificates London you ensure safety standers upheld the certifying Authority (NICEIC). All Landlords require an electrical safety certificate every 5 years or every time there is a change of tenancy in the property. Domestic Electrical Installation certificate ensures that the landlord get the value for money in case or certain faults the installer has to fix them before putting additional charges.